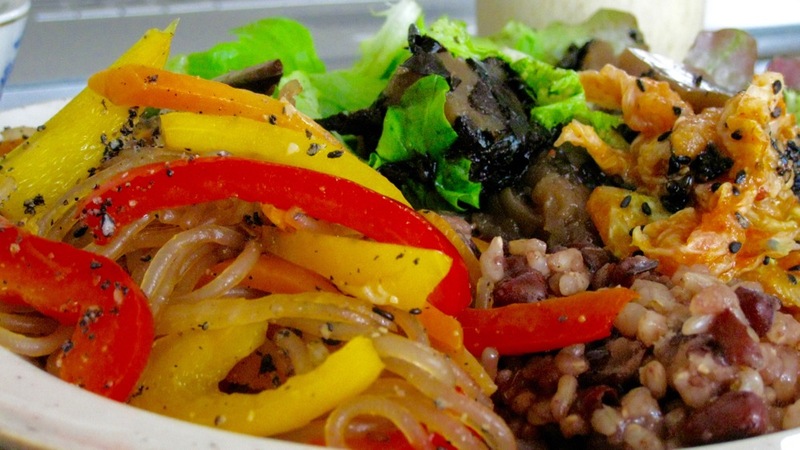 The many macrobiotic benefits that are discussed in this article. Macrobiotics has developed over the period of nearly a century. See macrobiotic history. There has been plenty of time to test the foods and develop its full potential. Macrobiotics evolved from a healthy rural Japanese diet into a set of principles that can be applied to any diet anywhere in the world. During its growth it has been examined by each new theory on healthy eating, by all the new nutritional discoveries and by the hundreds of thousands of people who have tried it. Macrobiotics has been around long enough to demonstrate its longevity as a tried and tested way of eating. It is a safe, common sense approach to healthy eating and healing. It is a broad varied diet primarily consisting of grains, vegetables, fish, beans, seeds, fruit and nuts. Many people have claimed eating a macrobiotic diet has helped them recover from illness. It is a flexible approach to eating that can be used from a few days to a lifetime. Macrobiotic principles show you how to choose and prepare foods to feel the way you want. You can eat any natural foods as long as you know what the likely influence of that food is and feel good on it. The high fibre component of macrobiotics keeps your digestive system healthy. Being low in saturated fats a macrobiotic diet enhances your blood quality improving your circulation and heart. Having a low glycemic index and load macrobiotic foods encourage even blood sugar levels making it easier to loose weight and enjoy emotional stability. This aids energy and stamina. The foods are well balanced in terms of acid and alkaline as well as sodium and potassium. The general macrobiotic diet is high in proteins, iron, calcium and other minerals, vitamins and photo nutrients. Macrobiotics is a complete approach to healthy eating that encompasses selecting ingredients, preparation, cooking and eating. If we were to design a new healthy diet we could look at those countries that enjoy the best health and longevity through epidemiological studies, explore historical changes in diet and see if there is any correlation with changes to health, study scientific research and explore modern nutritional theories. If we combined this and formulated it all into a healthy diet based on natural foods we would end up with something very close to the modern macrobiotics diet. It is through this approach we can feel confident in the many macrobiotic benefits from eating natural foods. Macrobiotics has always had a strong link to traditional Chinese medicine. In particular Michio Kushi developed the link between the ideologies used in healing and macrobiotics. Both traditional Chinese medicine and macrobiotics are based on the idea that everything has a living energy. This is similar to the principles used in acupuncture, tai chi and yoga. This living energy, known as chi. This energy or life-force influences the way we feel, our moods and ultimately our health. Rather than using needles or herbs we can do something similar using food. Food is a very powerful healing medium as the food is carried into our blood and onto every cell in our body. We have to eat anyway so why not make each meal a healing experience for the body and enjoy the many macrobiotic benefits. I you would like help starting macrobiotics please call Simon on 07543663227 or email.